The Leibniz Center for Law is primarily involved in project-based research, involving both international (european) and national partners from government, research and industry. This page provides a short synopsys of the projects we are or were involved in. For more information, please contact us. The University of Amsterdam’s Systems and Network Engineering Lab at the Informatics Institute, with assistance of the Leibniz Center for Law, have recently been awarded several new grants from the Netherlands Organisation for Scientific Research (NWO). The Leibniz Center and SNE already cooperate in the long-running SARNET project (1 PhD student and 1 Post-doc) on Internet Security. The projects will take place within the Informatics Institute, but with personnel involvement of the Leibniz Center for Law. DL4LD or Data Logistics for Logistics Data: The proposed research (2 PhD students, 1 Post-doc) focuses on 1) the design and implementation of capabilities that are required for creating value-rich logistic information services and 2) creation of innovative solutions that allow stakeholders to agree on how data is stored, accessed, shared and transformed in a controllable, enforceable, accountable, auditable and goal-oriented fashion. Secure Scalable Policy-Enforced Distributed Data Processing: The project (1 PhD student) combines big data, high performance computing and cryptology in multidisciplinary fundamental and applied research. The project aims to develop integrated secure, end-to-end trusted, scalable and future-proof solutions for the problem of policy-enforced distributed data sharing and processing across multiple logistic domains. This NWO ‘Big Data: Real Time ICT for Logistics’ grant is part of the Commit2Data initiative, a national public-private research-and innovation programme intended to to keep and strengthen the Dutch top 5 position in Big Data. Distributed FAIR information systems to enable federated learning and reasoning: The project (1 Post-doc) aims to find solutions for constructing FAIR (Findable Accessible Interoperable Reusable) data services that allow competing organizations to share & analyse data for a common and agreed goal but not for any other purposes. The Leibniz Center is involved in a new DG Justice sponsored project: “The application of Brussels I (recast) in the legal practice of EU Member States” (JUST/2014/JCOO/AG/CIVI/7754). The project is coordinated by the T.M.C. Asser Institute in The Hague (NL). Other partner is the Law School of the Erasmus University in the Rotterdam (NL). Assessing the application of Regulation 1215/2012 (Brussels I recast), in particular the rules that have been amended compared to Regulation 44/2001, in view of the objectives of the Regulation. The focus will be on the functioning of the jurisdiction rules vis-à-vis third country defendants (in particular consumer and employment contracts), the choice of forum and lis pendens rules and the new enforcement rules abolishing exequatur, including judgments granting provisional and protective measures. Mapping the problems national legal orders face when applying new EU legislation on private international law (PIL), in particular the Brussels I recast. Can lessons be drawn from close scrutiny of the experience of one Member State (the Netherlands) that are of use to the EU legislator and to other Member States? Are there common experiences? Can something be said about steps the EU legislator and/or EU or national policy makers can take to ensure swift implementation of new EU instruments such as the Brussels I recast. Identification of any obstacles to swift correct and consistent implementation of Brussels I recast. The Leibniz Center will be mainly concerned with data collection, automated analysis and storage. The University of Amsterdam has been awarded a grant from the Netherlands Organisation for Scientific Research (NWO) for the Security Autonomous Response NETworks project (SARNET). This project falls under the NWO Cyber Security programme, which seeks to increase the security of our digital society while at the same time addressing privacy concerns. The SARNET project explores what is needed to provide an autonomous means of Internet security at the supra-company level. The research employs software-defined networking technology, with Internet provider networks and company networks working together on detection and defence. This means companies will be no longer be alone in their fight against cybercrime. When an attack is detected by a provider and/or company, protection will also be programmed at other companies and providers. This information technology allows SARNET to be jointly managed by Internet service providers and specialised companies. The research is being conducted at the UvA, in the Informatics Institute, and involving the Leibniz Center for Law, while the Netherlands Organisation for Applied Scientific Research (TNO) and network manufacturer Ciena are working to put it into practice at Air France-KLM. The SARNET grant is €680,000, of which €400,000 is funded by the NWO and the remainder by industrial partners KLM, CIENA and TNO. Key assessment criteria were the scientific quality of the research proposal, the knowledge utilisation factor and the relevance of the research to the National Cyber Security Strategy (NCSRA-II). The NCSRA-II is part of the IT Roadmap of the government’s Top Sectors policy. This research programme is part of the second investment round of the cyber security study. Financiers and initiators are the ministries of the Interior & Kingdom Relations, Defence, Economic Affairs, Finance, Infrastructure & the Environment and Security & Justice (coordinated by the Ministry of Economic Affairs), the Governing Board of the NWO and the NWO areas of Exact Sciences (EW), Social and Behavioural Sciences (MaGW), and the STW technology foundation. The Leibniz Center for Law already participates in the Canadian Cyberjustice project for some time in the person of prof. Joost Breuker. The project now has a web site with more information. In a project funded by the Research and Documentation Centre (WODC) of the Dutch Ministry of Justice, the Leibniz Center will do research into amending laws. – The automatic creation of amendments and amending laws from a modified text. – The automatic creation of consolidated legislation based on a number of amendments and an original source. – The detection of clashes between different amendments on the same source. Any functionality developed in this project will be added to the MetaVex editor for legislation. This editor has developed by the Leibniz Center, and has been tested and refined in the SEAL project. The AGILE project – Advanced Governance of Information services through Legal Engineering – is targeted at the development of a design method, distributed service architecture and support tools that enable organisations to better govern their legislation and regulation based information services within in a networked environment. Legal pluralism, the need for integrated services and specific requirements for a knowledge representation suited for expressing legal knowledge and legal reasoning demand a specific service architecture. The project will use knowledge representation technologies developed within the semantic web community as a starting point, and extends those with elements specific for the legal domain. Furthermore, based on complex-adaptive systems theory it will develop a service design and modelling method which will help organisations to horizontally adapt to new or changing laws. This method takes the inherent unpredictability and existing situation blocking adaptation into account. The NWO grant covers two AiO positions and one post-doc. AGILE is a co-operation between the Leibniz Center for Law and the Technical University Delft, O&i Management Partners, Be Informed and the Dutch Immigration and Naturalisation Service (IND). October 23rd 2008 the official kick-off happened at the IND premises in Rijswijk. At the LAC conference in Nieuwegein NWO showed a movie about the six new Jacquard projects. The part containing AGILE can be viewed online at: http://www.jacquard.nl/8/assets/File/flv/agile.flv. April 24 2009 the second official AGILE user meeting took place, again at the IND premises in Rijswijk. December 11 2009, AGILE was presented at the NWO Jacquard day in Utrecht. The Leibniz Center for Law is part of the consortium that won the open tender for the development of the national online all-in-one service for environmental permits (LVO, or in full Landelijke Voorziening Omgevingsloket, link is in Dutch) in the Netherlands. The all-in-one environmental permit application process replaces a number of other services for obtaining permits regulating nuisance caused by alterations to real estate, such as building permits, demolition permits, permits for cutting down trees, billboard advertising permits, etc. Look for instance here, here, and here for more background information (all links are in Dutch). The main contractor is O & I. Other participants are BeValue, BeInformed, Juris, Informaat, and ASP4all. Legislation drafting is a complex process that takes place in a political and dynamic environment usually involving many stakeholders. Since a new or adapted piece of law often is connected to existing laws the drafters and other stakeholders should be aware of relationships between the law under construction and those existing legal sources. Legal drafting practice has learned that legal quality can benefit from the use of specific legal drafting patterns. In the SEAL project we have provided the stakeholders involved in legislation drafting with a supporting environment that enables easy construction of legal drafts using drafting patterns and creation of connections from and to existing legal sources. The infrastructure contains a repository with existing laws, draft versions and amendments and offer easy to use access methods. 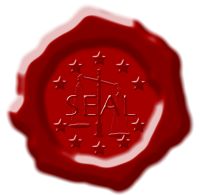 The SEAL environment is based upon open standards and improves exchange between the European legislative processes and national and municipal legislative processes. It also allows for citizen consultation processes. The project included three parliaments. Within the SEAL project, three editors have been tested, refined and implemented in cooperation with the parliaments and legislation drafters during the project. The Leibniz Center for Law is involved in the project Digitale Uitwisseling Ruimtelijke Plannen (DURP; digital exchange of spatial plans) which develops an XML-based digital interoperability format for spatial regulations. We apply our experiences with the MetaLex XML schema for `regular’ legal sources to a legal area that hasn’t yet been studied to the extent it deserves in the field of AI & Law. The Legal Atlas v0.09b application is a showcase of how MetaLex integration with existing standards, such as GML and OWL, can result in robust and feature-rich knowledge management solutions. The Leibniz Center for Law participates in a project which aims to improve awareness of potential tax returns for teenagers. This is done through a `flashy’ website entitled “It’s payback time!” which contains a knowledge-based application, developed by the LCL, that calculates whether the visitor is entitled to a tax return. On the basis of this calculation, the visitor is directed to an order form for the required tax-return forms (the Tj-biljet). The application is online at: http://www.itspaybacktime.nl. Het Leibniz Center for Law van de Faculteit Rechtsgeleerdheid van de Universiteit van Amsterdam ontwikkelt in opdracht van de Raad voor de Rechtsbijstand in ‘s Hertogenbosch, namens de gezamenlijke Raden voor Rechtsbijstand, een vraagverheldering en kennismanagement-applicatie als onderdeel van een virtueel front-office voor het Juridisch Loket, waarin afhandeling van rechtsvragen zoveel mogelijk digitaal wordt ondersteund. Gebruikers zijn zowel de cliënten als de medewerkers van het Juridisch Loket. De informatie en ontsluiting ervan zal daarom zoveel mogelijk gebaseerd zijn op principes van hergebruik, zodat de ontwikkelde functionaliteit zowel voor de ondersteuning van het fysieke loket als voor de ondersteuning van het virtuele loket gebruikt kan worden. Belangrijke doelstellingen van het project zijn het verbeteren van de kwaliteit en van toegankelijkheid tot de juridische advisering door regulering en ondersteuning van het bevragingsproces bij de intake. Bij gebruik van het virtuele Juridische Loket zullen gegevens over de voorliggende vragen worden gebruikt bij het opbouwen van de elektronische dossiervorming ten behoeve van andere vormen van cli�ntondersteuning. Het project is onderdeel van de inrichting van de nieuwe organisatie het Juridisch Loket. De toegang tot het recht voor burgers zal door het ontwikkelen van het Juridische Loket verder verbeteren. De rechtshulpzoekende wordt laagdrempelige voorzieningen geboden terwijl de beschikbare juridische informatie en kennis wordt vergroot. Rechtzoekenden zullen door het Juridisch Loket beter en sneller geholpen kunnen worden. Een belangrijkste nevendoelstelling van het virtuele Juridische Loket is het terugbrengen van de uitvoeringskosten van gesubsidieerde rechtsbijstand bij het Juridisch Loket door het verminderen van het aantal noodzakelijke fysieke contacten met cli�nten. 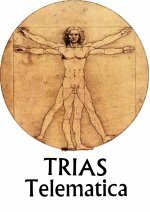 Het Europees subsidieprogramma voor het beroepsonderwijs Leonardo da Vinci, heeft het Leibniz Center for Law subsidie toegekend voor het pilot project TRIAS Telematica. De subsidie bedraagt bijna 330 000 euro en is bedoeld voor het ontwikkelen van modulair elektronisch lesmateriaal over e-Government voor ambtenaren. Het Leibniz Center for Law zal hiertoe leiding geven aan een consortium van leidinggevende organisaties op het gebied van de elektronische overheid. Inmiddels is aan TRIAS Telematica de status van best price winner project toegekend. The Leibniz Center for Law will coordinate a new European project called Estrella. This acronym stands for European project for Standardized Transparant Representations in order to Extend Legal Accessibility. The aims of the Estrella project is to develop and validate an open, standards-based platform allowing public administrations to develop and deploy comprehensive legal knowledge management solutions, without becoming dependent on proprietary products of particular vendors. Estrella will support, in an integrated way, both legal document management and legal knowledge-based systems, to provide a complete solution for improving the quality and efficiency of the determinative processes of public administration requiring the application of complex legislation and other legal sources. Estrella will facilitate a market of interoperable components for legal knowledge-based systems, allowing public administrations and other users to freely choose among competing development environments, inference engines, and other tools. The main technical objectives of the Estrella project are to develop a Legal Knowledge Interchange Format (LKIF), building upon emerging XML-based standards of the Semantic Web, including RDF and OWL, and Application Programmer Interfaces (APIs) for interacting with legal knowledge-based systems. To achieve and demonstrate vendor neutrality and independence, translators between the LKIF format and the existing proprietary formats of LKBS vendors participating in the project will be developed. To demonstrate and validate the Estrella platform, European tax related legislation and national tax legislation of two European countries will be modelled and used in the pilot applications. The finance ministries or tax administrations of several other European countries will take part in an Observatory Board to ensure generality of the approach. LRI-Core is a core ontology that covers the main concepts that are common to all legal domains. These domains have a predominant common-sense character – the law is (still) for the people – and typical legal concepts such as norm, role, responsibility, contract, etc. have a grounding in abstract common-sense conceptualizations. This common sense grounding is lacking in various upper- or foundational ontologies developed thus far, cf. Dolce (http://www.loa-cnr.it/DOLCE.html), SUO (http://suo.ieee.org/), John Sowa (http://www.jfsowa.com/ontology/toplevel.htm)’s ontology. One of the most important design principles that follows from the common-sense stance in developing the LRI-Core is cognitive plausibility. From this perspective, knowledge about the physical world, with the central notions of object and process is taken as a basis for a mental and abstract worlds. The intentional stance that differentiates the physical world from the mental world is also the basis for the creation of a behavioural world of roles. In summary, LRI-Core starts with four main categories: physical concepts, mental concepts, roles, and abstract concepts. A fifth category consists of terms for occurrences, which are used to talk about instances (situations) in a generic way. The LRICore ontology effort has been moved to the LKIF Core ontology developed within the ESTRELLA project. CASE is an environment that supports both the search for legal precedents and the structuring and analysis of the specific slected precedent to be able to establish its legal significance. E-POWER implements a knowledge management solution by providing a method and tools that help to improve the quality of legislation whilst facilitating the enforcement of law. Both method and tools will decrease the time to market for new/changed legislation and facilitate the maintenance of legislation and improving the access to the governmental body of knowledge by offering new E-services. Furthermore the use of this method and tools will result in a more efficient use of scarce knowledge resources. O & I Management Partners B.V.
e-Court aims at speeding up the search and retrieval of data in criminal trials by using multi-media data bases through inter- and intranet. Developing a methodology and tools for the management of, and easy access to corporate knowledge and information sources. The objective of CLIME is to improve access and understanding of large bodies of legal information through the internet. These bodies of information become more and more electronically available and contain all sorts of legal sources: legislation, cases and legal doctrine. MetaLex is an open XML standard for the markup of legal sources.